You have to wait for a root admin to review your appeal. Ok thanks crus. can i know when will the root admin come? Might take few days have patience. This detection doesn't false positive. 4:02 PM - Brawl Bashin’ Bison: ??? 4:02 PM - George, of the jungle: how about unbanning her friend? (Jul 29 2018, 08:20 PM)M. Bison Wrote: This detection doesn't false positive. can i please get unban now?. i have bought a new steam account. 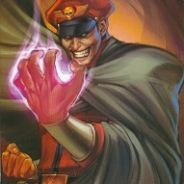 i have linked my steam account now. please? ?